You are here “Tournée Digitale” makes a stop at Mons! 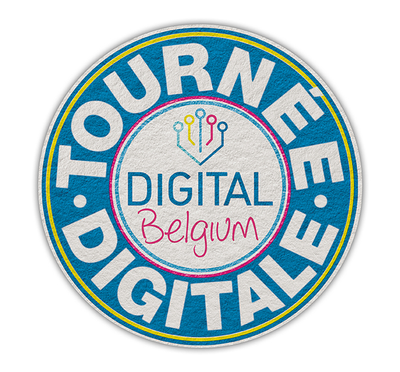 / News / “Tournée Digitale” makes a stop at Mons! “Tournée Digitale” makes a stop at Mons! As a partner of the event, Multitel is pleased to invite you to the conference that is co-organised by Belfius, le Mundaneum, LME, Digital attraxion, Creative Valley, l’Awex Mons, Hainaut Développement & Technocité. The Vice Prime Minister and Minister of Agenda numérique Alexander De Croo will be attending an interactive information session dedicated to the growth possibilities thanks to digital solutions and technologies and e-commerce which will be held in Mons on September 7th. Called « Tournée digitale », this cycle of meetings has taken place in several cities in Belgium and will make a stop this time in Mundaneum, Mons! More further information: La Tournée Digitale s’arrête à Mons!